Sourced from a local quarry outside Sydney. 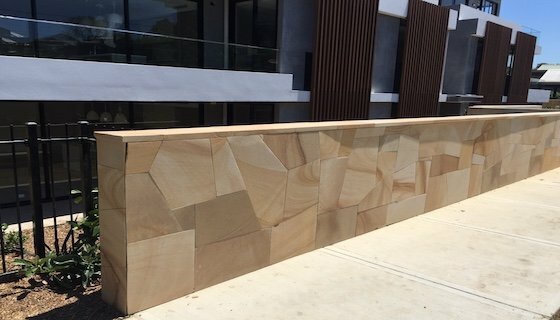 Sydney Sandstone crazy paving. Random shapes and sizes, 50 mm thick (sawn top and bottom). Packed in 10 m2 pallets. This product is suited for both interior and exterior floors and walls. 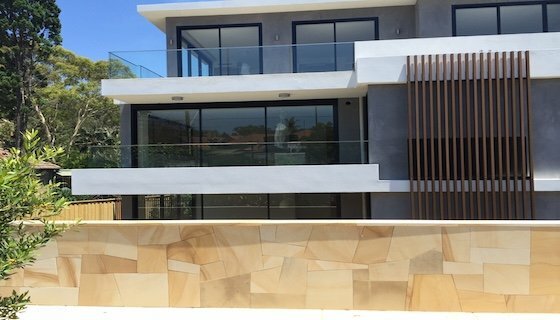 Due to its excellent non-slip qualities and low porosity, it is extremely popular for exterior applications, especially around swimming pools and in areas that are exposed to wet conditions. Sealing the stone is recommended around swimming pools. 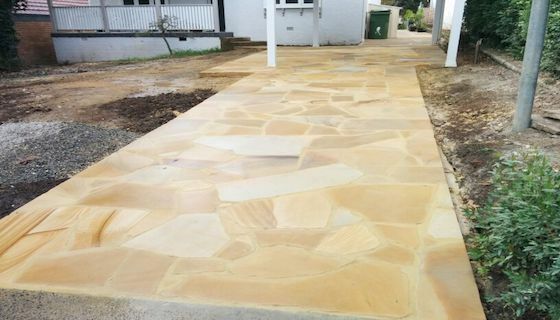 We are a locally owned business with a focus on quality stone provided at competitive rates. 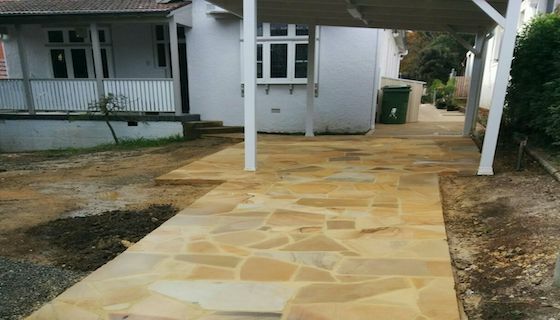 We believe in a long-term business strategy seeking mutually beneficial business relations to be able to provide stone to our customers at the cheapest price we can source our quality stone. Call us now to book an appointment with our sales manager.